Takashi Ohno. 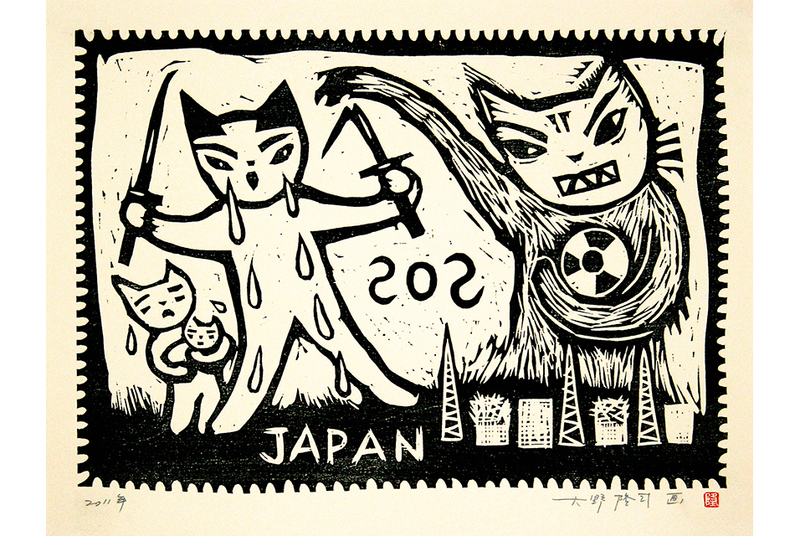 No more Fukushimas © Takashi Ohno. Photo by Marcello Farabegoli. VIENNA.- The 2014 Vienna Art Week is being held under the motto Running Minds. Running Minds is dedicated to the creative process and the restlessness inherent to the artistic act  a creative process that involves collecting and organizing, churning, overturning and outdoing ideas that will ultimately come to form the artwork. At the same time, Running Minds is a tribute to ten years of active thinking and the many creative minds who have made Vienna Art Week what it is today: an intense, art-focused week shaped by the participation of all major art institutions, artists, galleries and off-scene spaces in the city. Vienna Art Week, now in its tenth annual edition, has evolved from an exclusive art event to a high profile and heavily visited international art festival. In 2013, 35,000 art enthusiasts participated in over 180 events. 2014 sees a continuation of this successful trajectory with a joint collaboration between the Dorotheum, members of Art Cluster Vienna and a number of program partners: Vienna has fantastic museums, great artists and an interesting gallery scene. Vienna is an art city. The goal of Vienna Art Week is to make people conscious of the important role visual arts play in the city. Viennas public image has changed dramatically over the past ten years, with visual arts becoming more and more important and influencing the citys modernity vitality. The art scene has become a tremendously important, integral part of Vienna, says Martin Böhm, President of Art Cluster Vienna. Adding to Vienna Art Weeks range of program events is Open Studio Day. On Saturday, 22 November, 100 artist studios will be welcoming visitors. This years participating artists have been selected by Mario Codognato, the newly appointed chief curator of the 21er Haus, Daniela Zyman, artistic director of tba21 and independent curator Franz Thalmair. This Vienna Art Week event increases public awareness of artists who live and work in Vienna and allows visitors to participate in the process of artistic creation. Rounding out the exciting program are various exhibition openings, museum tours led by artists, curator-led guided tours of galleries, film screenings, performances, tours of architectural highlights and works of art in public spaces, conversations with museum directors, discussions and talks. Vienna Art Week is unique in comparison with other major European cities. Every year, Viennas museums, art schools, galleries and independent art initiatives work together to create the festival program, which offers a concentrated insight and overview of the current art scene in Vienna, says Robert Punkenhofer, Artistic Director of Vienna Art Week, commenting on the visionary power and success of the art week.